Animal Farm, by George Orwell - author of 1984, one of Britain's most popular novels - is a brilliant political satire and a powerful and affecting story of revolutions and idealism, power and corruption. 'All animals are equal. But some animals are more equal than others.' Mr Jones of Manor Farm is so lazy and drunken that one day he forgets to feed his livestock. The ensuing rebellion under the leadership of the pigs Napoleon and Snowball leads to the animals taking over the farm. Vowing to eliminate the terrible inequities of the farmyard, the renamed Animal Farm is organised to benefit all who walk on four legs. But as time passes, the ideals of the rebellion are corrupted, then forgotten. And something new and unexpected emerges. . . Animal Farm - the history of a revolution that went wrong - is George Orwell's brilliant satire on the corrupting influence of power. 'Remains our great satire of the darker face of modern history' Malcolm Bradbury 'Animal Farm has seen off all the opposition. It's as valid as today as it was fifty years ago' Ralph Steadman George Orwell (Eric Arthur Blair) was an accomplished social, political and literary commentator and essayist known for his non-fiction works The Road to Wigan Pier and Homage to Catalonia. His most famous novels, Animal Farm and 1984 have influenced a generation of twentieth century political satirists and dystopian novelists. 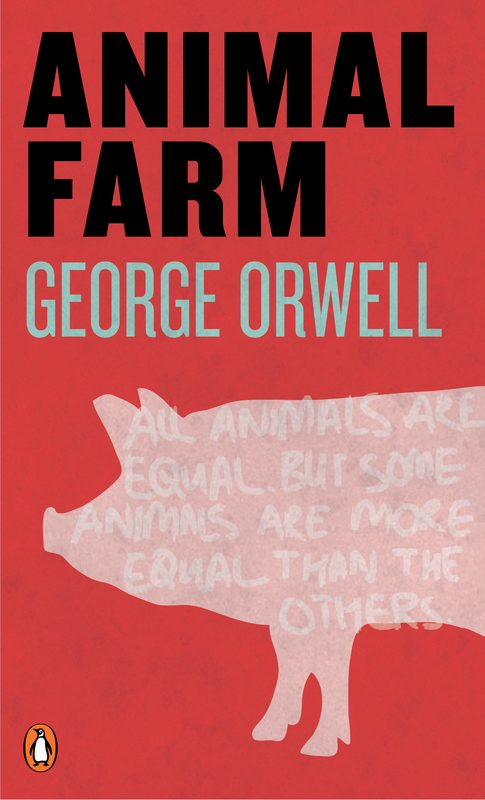 Animal Farm received the W. H. Smith and Penguin Books Great Reads of the century award in 1995; this edition of Orwell's seminal novella is introduced by Professor Peter Davidson.